Posted by JoAnna Weber on August 23, 2012 at 4:12pm in Where oh where can the salespeople be ,oh where oh where could they be? Just like in sales it’s important that you set goals, but even more importantly that you ensure the goals are being met in the BDC. The BDC, or the business development center, can be a huge profit center for the dealerships that do it right, the opposite for those that don’t. In order for the BDC to be profitable you must take a methodical approach to management, that is, you must manage by percentages. There really is no easy answer to that question because it all depends if it’s new car or used car leads, prime or subprime. Each one will be different, instead lets take a look at your goals and do some math. Lets say you want your BDC to be the cause over 100 sales this month, how are you going to get there? First, take a look at your lead count, lets say you get an average of 750 leads per month. That means you must have a lead to sale rate of 13.4%, very doable. While some numbers can be higher and others lower that is what the combined percentages of the entire BDC must be in order to sell just 13.4% of your leads and sell 100 cars from 750 leads. Since you already know what percentages you will be tracking, the second 4 tells you how often you should be meeting with your BDR’s in order to ensure that the numbers are met. You should set a yearly goal in the BDC, lets say your goal is to sell 25% of those 750 leads by the end of 12 months, holding steady the last two months of the year. In other words you have 10 months to almost double your lead to sale rate. From there just take 25%, subtract 13.4% and you get 11.6%. 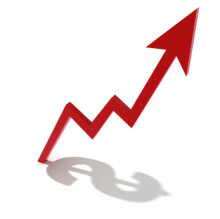 In order to increase your lead to sales rate by 11.6% by the end of the 10 months just divide it by 10. You get 1.16%. So, in order to reach your goal by the end of 10 months you must improve your lead to sales rate by 1.16% each month for 10 months and then hold there for the last 2 in order to reach your goal. In order to reach your yearly goal you must ensure that your BDR’s are doing their part. Each month, sit down with them one-on-one and take a look back at what their monthly goals are and figure out both what they did right and what they did wrong. Make sure that they are doing their part and are meeting the 1.16% increase month over month. If not, train, train, train! Don’t wait till months end to see if they are on goal. Each week sit down one-on-one and make sure that each BDR is on track to reach goal. Review the previous days numbers, that is, contact, set, show and sold to ensure that they are moving in the right direction. Train if not, reward if they are. I know there was a bunch of numbers thrown out but in order to see success in the BDC you must track the 4 percentages at 4 different times to ensure that the BDC is growing in the right direction… up! Of course, the right BDC starts with the right people. Great information, every BDC manager should read and use this. The BDC departments were so strong until dealers got slow in 2009 and was one of the 1st departments to get cut back or out completly. Now they realize that cut back cost them deals, gross, and CSI. Great people with proper training in the BDC will produce a significent increase in front and back end deals. Its all about ROI! The BDC Dept is such an important spoke in the profit wheel,we must fully understand how to properly staff with a quantity of quality people,pay plans that makes sense and training,training and more training.The additional business will skyrocket and leave the competition in the dust! Sorry to be a late complementer. This was a great post! These are 'must measure' metrics and I agree that planning the plan requires seeing the math. Thank you for the post. Keep 'em coming!